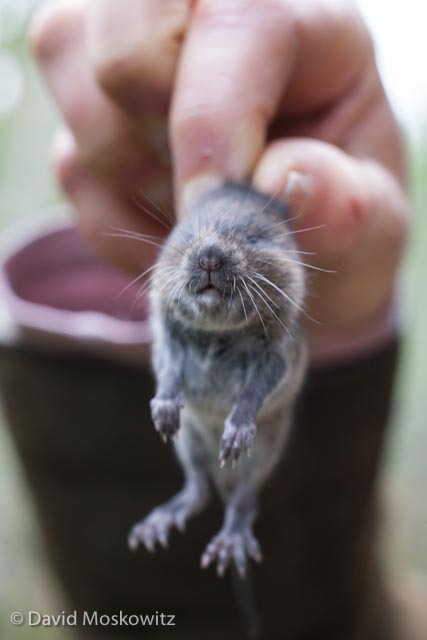 Creeping voles are a relatively small species of Microtus, typically found in forests here in the Northwest. While scouting for teaching locations for the Wildlife Tracking Intensive at the end of April, Alexia Allen and I spotted a small rodent moving through the leaf litter in a riparian forest close to the Hoh River on the west side of the Olympic Peninsula. I quickly reached down and captured the little grey creature who was kind enough to pose for a few photographs! 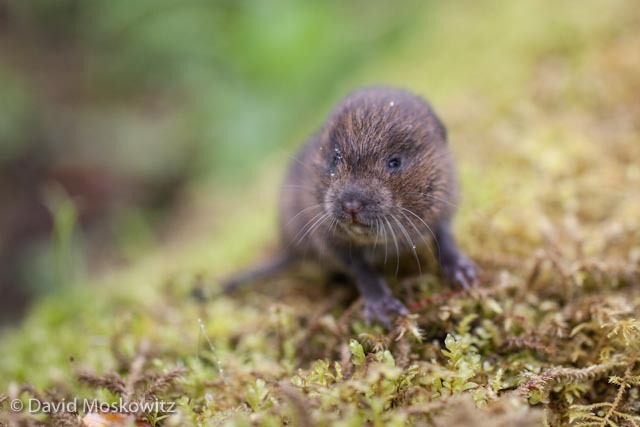 Field marks which identify this as a creeping vole include its small size, short tail, and small ears which blend into it fur as well as its forest habitat. 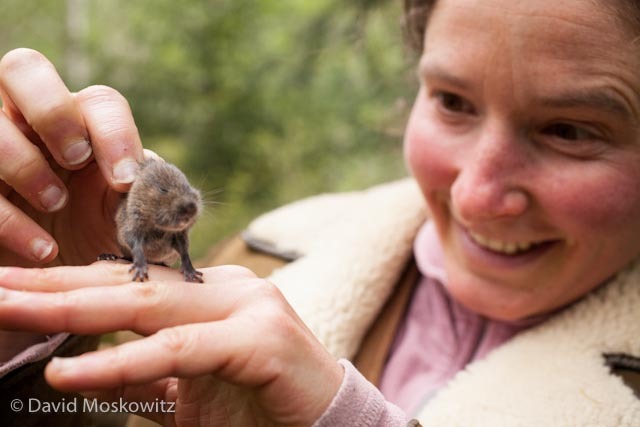 Alexia Allen carefully handles the vole by its ruff.